This new RoHS compliant CPU module integrates high-speed networking and a robust processor targeting bandwidth-intensive embedded applications. 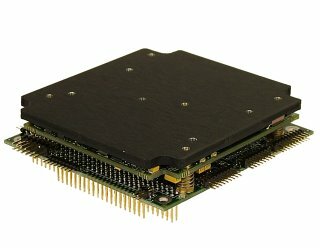 Eurotech has today introduced the CPU-1464, a highly reliable Single Board Computer (SBC) for mobile high-speed networking applications. This RoHS compliant module is based around the 800MHz Intel Pentium III processor with 256MB DRAM soldered onboard and high-speed Gigabit Ethernet. The CPU-1464 is an upgrade and replacement to the widely proven CPU-1463 CPU module.